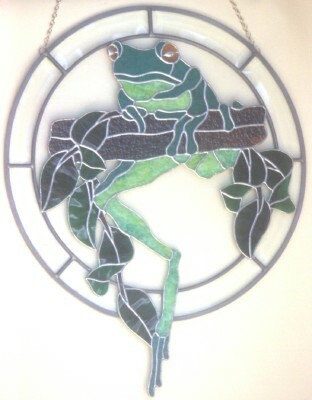 We have been designing and making windows for 35 years. So far we have made over 2500 windows. 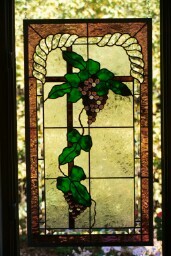 A few of the windows are pictured below. Bring us your ideas and questions. 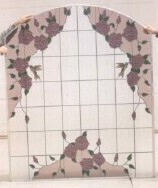 We will work together to beautify your home or business. If you need inspiration, we have hundreds of photographs and pattern books to look at. 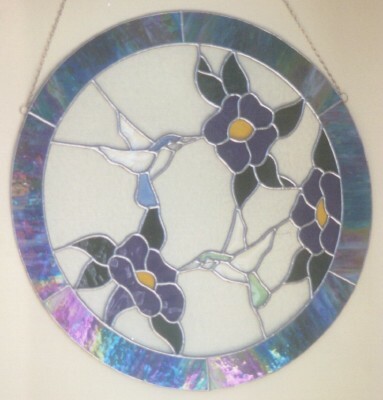 Let us design the perfect Stained Glass window for you. 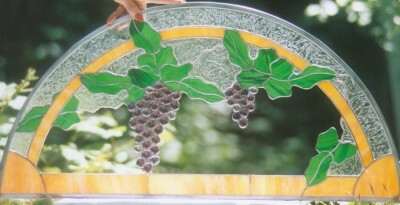 Windows can be made in most any size or shape. We will guide you thru the design and color selection process. You can choose a lot of color or no color, just textures of clear. 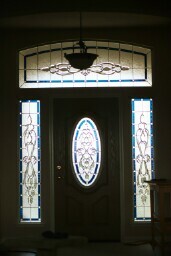 You can chose glass for visibility or privacy. The cost of a window varies by size and type of design. We can provide you with a quick estimate. When the exact design and materials are decided, we will have an exact cost. Stop by our shop or call for an estimate. 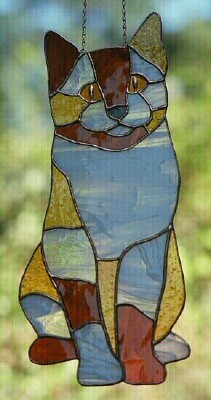 The stained glass window can be made in most any color. Allow 2-3 weeks if the color is not in stock. 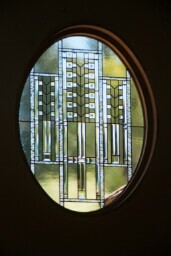 The window is about 12 1/2 inches in diameter. The cost is $65.00 plus tax and shipping.